We’ve hit episode 75! For this milestone episode Daph J and Eric Anthony grab their walkman’s and headphones and pump the volume of their favourite mix tapes, old school style. 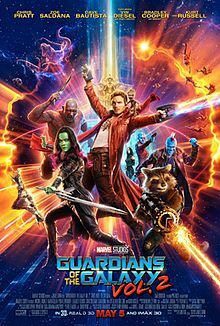 We start off the episode with Daph J giving us the goods on PBS documentaries and talking like grown ups, to finishing off by traveling to our local theatre and planet hoping with the Guardians of the Galaxy! Check your Ego at the door, press play, and enjoy the ride. Stan Lee is watching you.